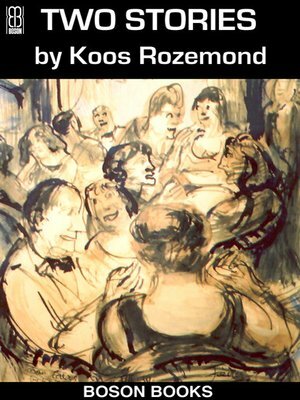 These two stories by Koos Rozemond, with English translations by Aart van den End, manage to be both droll and comedic, subtle and sophisticated. In each story, the narrator creates a central character as a foil for his rich imagination. Can you continue a conversation-game after an interruption of more than two decades? In Spring in Prague the narrator and his Moslem friend Shyam, the publisher of Progressive Islam and a conspirator in an Indonesian coup, meet in Prague after 25 years of silence. Shyam cannot guess that an unusual verbal surprise awaits him. Riks, the perpetual defendant of Riks, is, we learn, vulnerable to questionable company, which causes the narrator to observe, "That alone is not so bad, but if you're in the wrong social class it'll ruin you." For an author bio and photo, reviews, and a reading sample, visit bosonbooks.com.